Conflicting reports have emerged about the control of Khalifa Haftar’s self-styled army of Sharara oil field in Murzuq Desert, southwestern Libya. The media office of Dignity Operation claimed on Wednesday night full control of the country’s largest oil field without any resistance. “Our forces have entered the oil field with no resistance,” spokesperson of Dignity Operation Ahmed Al-Mismari said in a press conference on Wednesday. Meanwhile, sources from Ubari town denied the takeover of the oil field by Dignity Operation, saying the latter has only entered station 186, some 40km away from the oil field. The sources confirmed that another force loyal to Tripoli-based Presidential Council is also stationed near Sharara oil field waiting for permission from the guards of the field to enter it. In the same context, the Chief of Counterterrorism Force in Ubari town Kosila Al-Muzoughi has also denied the control of Dignity Operation of Sharara oil field. He told a local TV station that Dignity Operation had negotiated with the guards of the field to enter it but the latter refused. 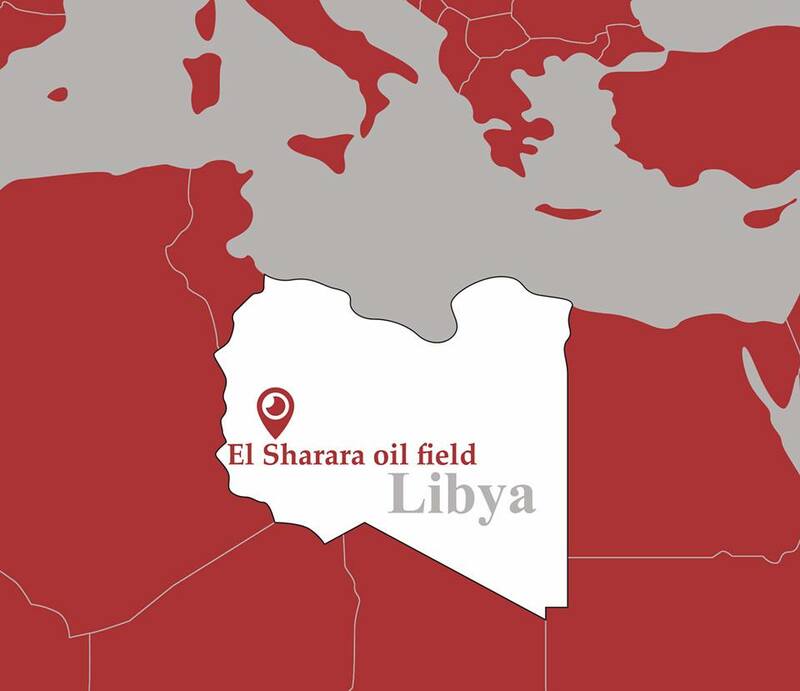 Protesters shut down Libya's biggest oilfield "Sharara"